Just so you know where I stand, I am one of those fans who believes that the preseason should be two games—three at the most. I don’t like seeing my fantasy running backs tweak their ankles in games that don’t matter. Still, preseason does bring us some good things. I mean, there are only so many reruns of “Burn Notice” and “UFC Unleashed” I can take. And, hey, at least it’s football. Preseason games always remind me of how crisp the NFL game is, even if these teams are only operating at about 75 percent. Seeing Peyton Manning fire one into Dallas Clark’s hands from 20 yards away is a thing of beauty. Somewhere in the first quarter of the Cowboys-Titans game I started to think about how there are surprises in the preseason every year. Fans knee-jerk on rookies who have impressive games. Some of last year’s bad teams actually look like they could matter this year. So, I jotted down some of this year’s preseason surprises, knowing full well that most may not matter a lick in about two weeks when “real” football gets underway. 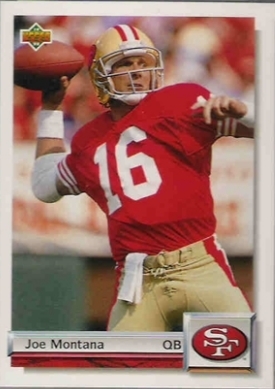 At first I thought it was just some preseason tease: The 49ers were decked out in uniforms that looked very similar to their dynasty-era unis, and man did they look sweet! I grew up a big Dallas Cowboys fan, but I always loved those red and gold uniforms with the plain numbers. They’re the ones on all of my 49ers football cards and Starting Lineup figurines from back in the day. Seriously, I could stop down and watch an entire 49ers-Raiders game just to be swept back to the days of Joe Montana, Ronnie Lott and John Taylor. Great move by the ’Niners! Yes, rookies get more playing time in the preseason, which lends itself to more exposure and more chances to break out. Some rookies disappear once September rolls around, but preseason games do give us some idea of the potential of some young players. Knowshon Moreno, Donald Brown and Chris Wells were the first-round picks, and Brown (Colts) is actually looking like he could steal a lot of carries away from Joseph Addai; but there are several other rookie runners who are turning heads. LeSean McCoy (Eagles), Javon Ringer (Titans), James Davis (Browns), Glen Coffee (49ers), Tyrell Sutton (Packers), Kory Sheets (49ers) and Lex Hilliard (Dolphins) are second-round to undrafted players. Each has a good per-carry average and has looked ready for the NFL. McCoy has worked with the first-team offense since Brian Westbrook has been healing from an injury, which will only help McCoy when he does need to step in for Westbrook. Davis, a sixth-round pick, broke an 81-yard touchdown in his second game. Coffee (looking great in that new uniform!) had 129 yards on 16 carries against the Raiders. They’re not that old, are they? The last time I saw Edgerrin James (just 31) he was busy helping the Cardinals through the playoffs after the team essentially wrote him off for most of the season. And Harrison, well, he’s only one of the greatest receivers to every play the game. You mean to tell me that there’s a spot on a team for a seven-round draft pick and not Marvin Harrison? Can the preseason handle two QB sagas? Apparently so. We all knew that Vick was returning to the NFL, and as good as Favre is at throwing touchdowns, he stinks at retiring. Vick with the Eagles really is a great fit. The Eagles love to run by throwing, and just getting the ball in Vick’s hands will make the offense tough to stop (especially with Brian Westbrook, DeSean Jackson and Jeremy Macklin). Vick will also play some QB, but when will all this happen? Roger Goodell will decide by Week 6. Favre joins the Vikings no doubt in another effort to stick it to the Packers. He has one of the top rushing attacks in the game, so Favre won’t have to sling it out to win games. This should also benefit Adrian Peterson, as defenses will have to worry about Favre. Having said that, I have always liked watching Favre, but I’m sure ready for him to retire. At least he will get another record—most consecutive starts by any player. OK, so this really isn’t a surprise. Crabtree is being mentored by Deion Sanders, but if the guy thinks he should get paid like the top receiver in the draft, he really needs to pull up April’s first-round draft results. Yo, Mike, you weren’t the first receiver drafted. Crabtree is only hurting himself. If he’s as good as he thinks he is, the money will be there. Let’s just catch a pass first, shall we? Every year one team due for a good season catches my eye. This year it’s the Raiders. I know that I’m probably just getting sucked in and that the preseason is more about individual players than how teams perform, but the Raiders have surprised me. JaMarcus Russell looks like he’s “getting it” and they still have Jeff Garcia even if he doesn’t get it. Darren McFadden should break out this year, and don’t overlook a healthy Michael Bush. The receivers need to step up, but I think the Raiders could challenge the Chargers this year in the AFC West. David Lee is a Dallas-based writer, and the former editor of Beckett Football and Beckett Basketball. To see more of his work, visit his website at www.MrWriteMedia.com. Upper Deck Surprises Fans with Larger-Than-Life Signed Rocket Ismail Trading Cards to Celebrate the Release of the Notre Dame 1988 Champions Football Set on e-Pack! Signing Day: Collect Upper Deck USA Football Cards of Top College Recruits! USA Football Trading Cards are Now Available Exclusively on Upper Deck e-Pack™!